I have been experimenting with many herbs over the past few months- some as teas, infusions, decoctions and tinctures… and others in cooking. I am excited to be immersed in an Herbal Studies program at American College of Healthcare Science, ACHS. 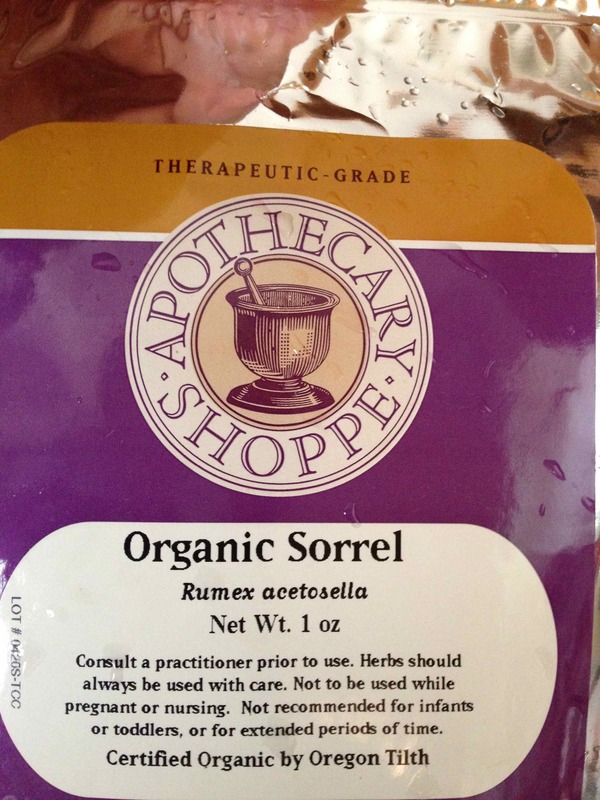 I first learned of sorrel, Rumux acetosa, in a raw foods class at the Natural Gourmet Institute in NYC. I have been wanting to experiment with this herb and finally gathered up the courage to do so in conjunction with my ACHS assignments. If I think of it like a tea or medicinal herb, then I would be hesitant to toss the dried version of this into my food. On the other hand, when I think of it as a culinary herb like basil, rosemary or garlic, then I feel comfortable adding this into a meal, in the dried format. 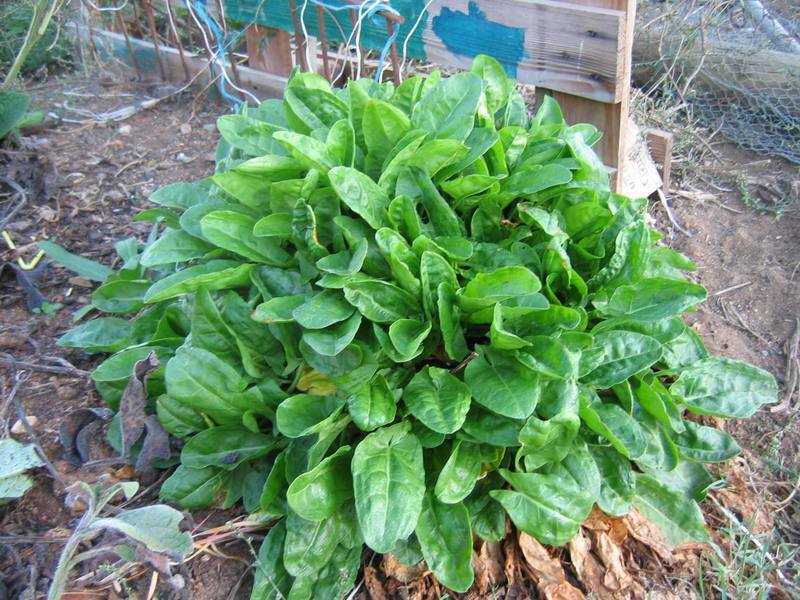 As far as the fresh sorrel goes, it has spinach-like properties with respect to color, appearance and culinary uses. Sorrel, Rumux acetosa, has bright green leaves. It is a green leafy plant whose firm leaves can be used directly into salads, soups and sauces. Sorrel can also be found pureed, frozen, canned and dried. It’s not the easiest plant to find, however, it apparently is one that can be grown without difficultly from seed. Once picked, it stays fresh for about 3 days, 6 months when dried. Sorrel, Rumux acetosa is a good source of vitamin A, B2 riboflavin, B3 niacin, B9, C, potassium, magnesium and calcium. Now enters another hot nutrition debate: shall we eat foods that are know to be high in oxalic acid or not? I’m still out with the jury on the soy debate so I’ll just highlight a few things here since sorrel is one of the plants associated with high levels of oxalic acid. Oxalic acid is a naturally occurring organic compound found in plants, animals and humans. One of the nutritional arguments often heard is that: oxalic acid binds with some nutrients, which then means that they are not assimilated by the body. Many people eat spinach, for example, for it’s high nutritional value. The the arguments you might hear would revolve around the calcium not being available for assimilation. I have also come across two other confusing, yet important and contradicting points. Oxalic acid in large quantities could cause death from poisoning. There is a government link below with more information about this- the only food source listed for this specifically is rhubarb leaves. On the other hand, oxalic acid has been sited to be helpful for killing cancer cells. The research continues! *Another consideration or controversy is whether or not foods with high amounts of oxalic acid would be better or worse cooked. I have read it both ways so far. Take some time to research and read through the articles. I am a believer in the raw and whole food eating; and everything in moderation, but of course. Onion, garlic, black pepper, sea salt, sorrel, jalapeño, tomato, seitan and steamed spinach — olive oil and a drop of vegan butter! I sautéed the olive oil, onion, garlic, jalapeño and tomato first. Then I used the seitan (from package). Next I added the sorrel, salt and pepper, I was a bit afraid at first but I noticed the flavor picked up immediately after adding a good amount of dried sorrel. It has a slightly lemon spice punch to it. The fresh leaves are known to add a citrus and sour flavor. I finished this sauté off with a drop or two of vegan Earth Balance Buttery Spread. 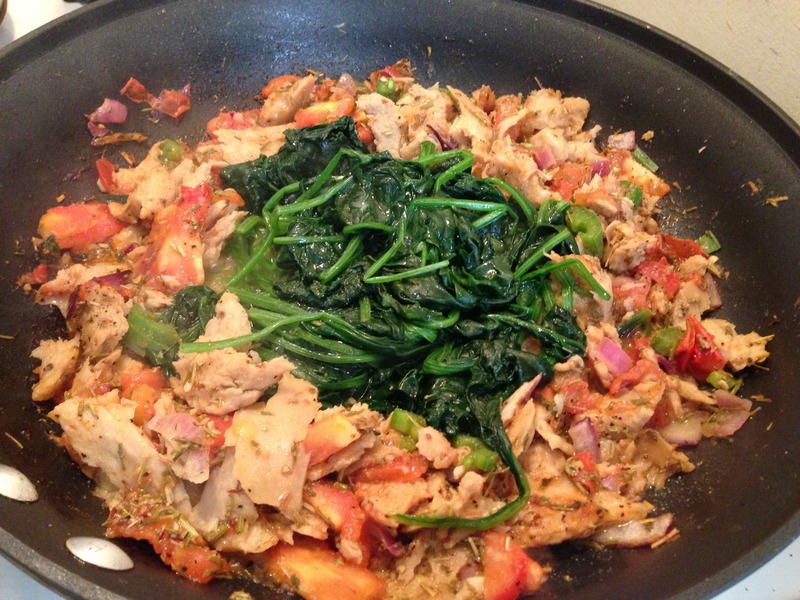 I steamed the spinach on the side and added it to the dish. It was flavorful, different and delicious!